The variety of natural dyes that plants can yield by simply throwing them into a pot of hot water is astonishing. From bursts of ripe yellow, charming shades of sea fare blues, and soft blush pinks created by spices and food scraps in the kitchen, to a wide variety of perennial and annual plants in your garden that cultivate the most beautiful unique shades of buttery yellows, zingy oranges, luscious reds and purples, and earthy greens. And if you head into the wild, the possibilities are endless. 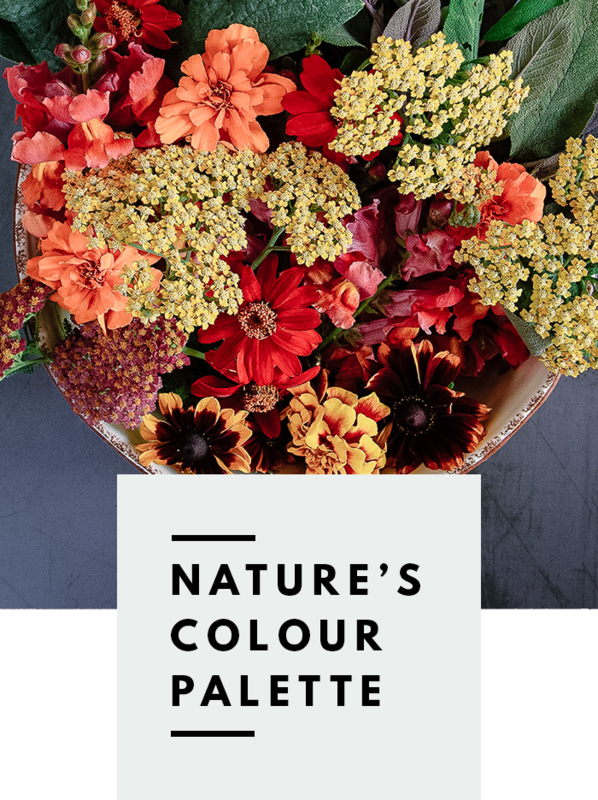 Hedgerows, fields and forests provide a plethora of wild plant material that yield an impressive range of natural colour from adventurous yellows and greens, to rusty tans, tobacco browns, olive greens, and driftwood greys. * Be careful when dyeing with rhubarb as it contains oxalic acid. Always prepare your rhubarb vat in a well-ventilated area so as not to expose yourself to the fumes. * It is important to not overpick plants in the wild, don't strip bark off a living tree, and only forage for species that are growing in abundance. Be careful, too, that you don't pick anything poisonous - accurate identification of plants is esssential.